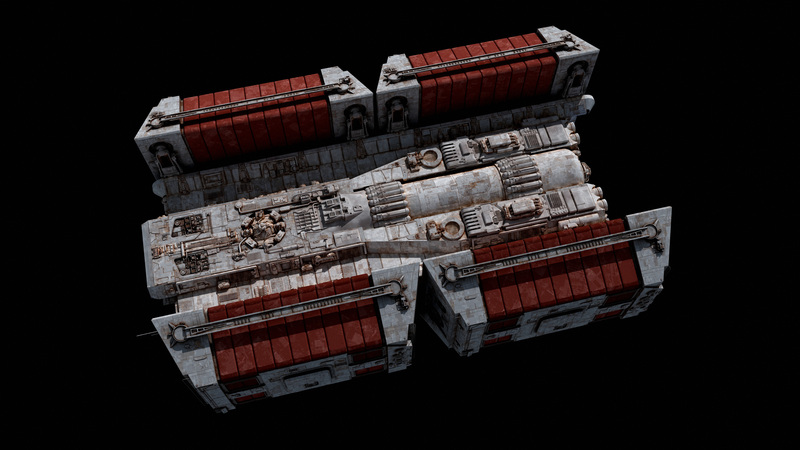 I would kill to have this updated model as part of the XWAupgrade.com shipset. I think it’d be far too heavy for the engine. If you want to adapt the look though feel free! 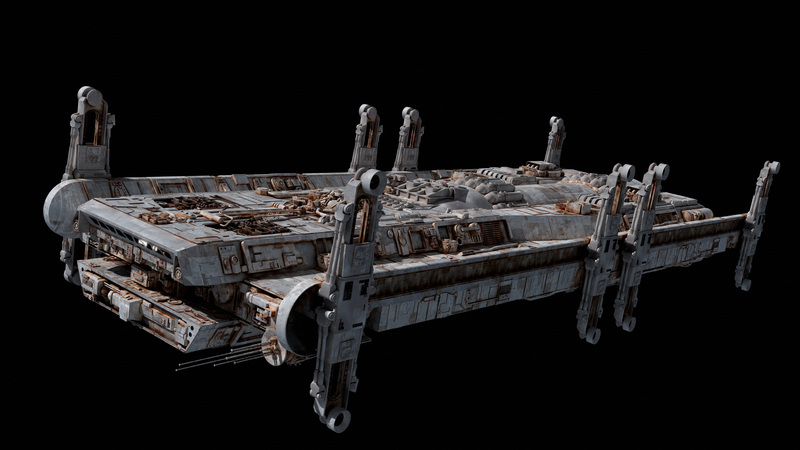 Can this land on planets or is it space only? 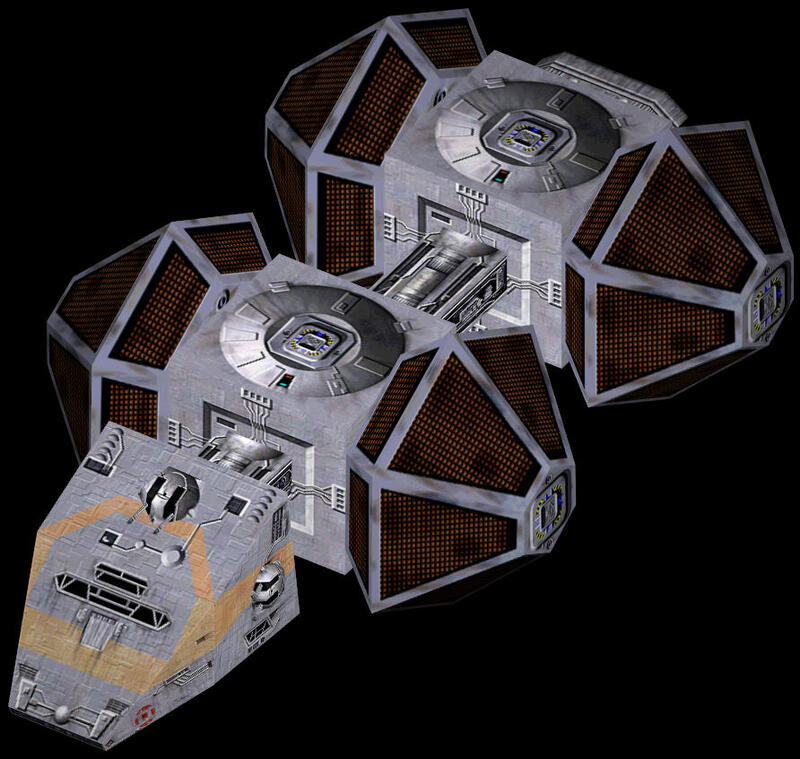 I never played the full x-wing or tie fighter games but I did get to play a demo version of them and this ship was in one of the missions. I enjoyed the idea of being a tramp freighter pilot/captain with a highly modified BFF-1 and this makes it so much better than the original. Would these Containers Be like the Ones on the FSCV? can these join up in a longer train sort of you think? Considering that all the cargo is in the containers does the ship proper carry passengers? Its like seeing an old friend after a few decades. I remember flying in close to these things to inspect them. Me too. 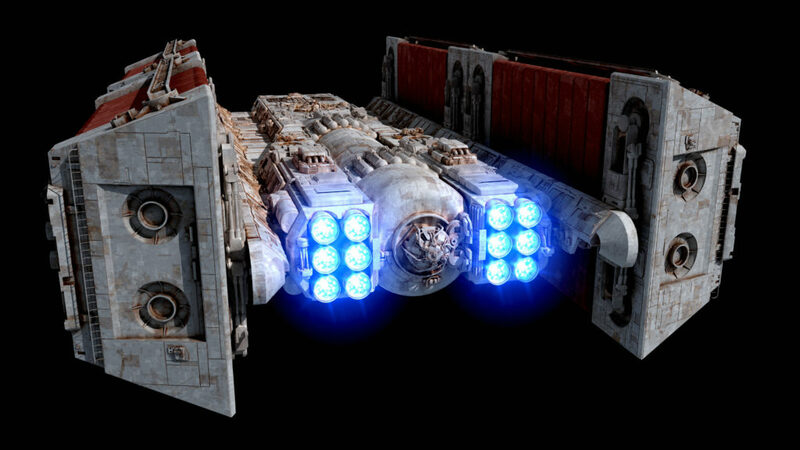 I remember flying close to inspect these babies, then blowing the scum (Rebel and Imperial) up! I love it! 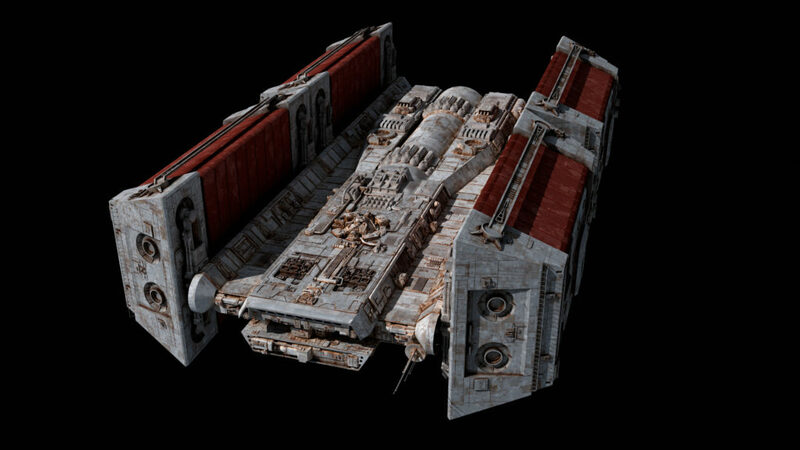 I love the colors, I love the rust, I love the detail you’ve put into this ship. Amazing. 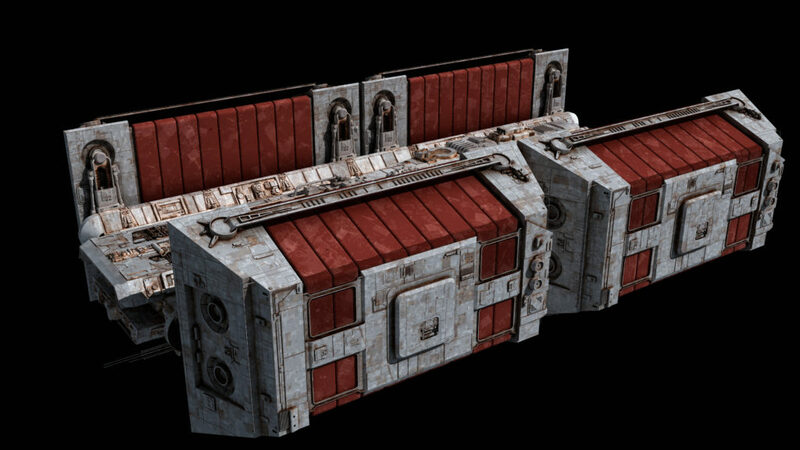 i love how the containers open up, but do they have artificial gravity projectors? Also how do the containers change from the sideways position to the up right position? Of course they would. 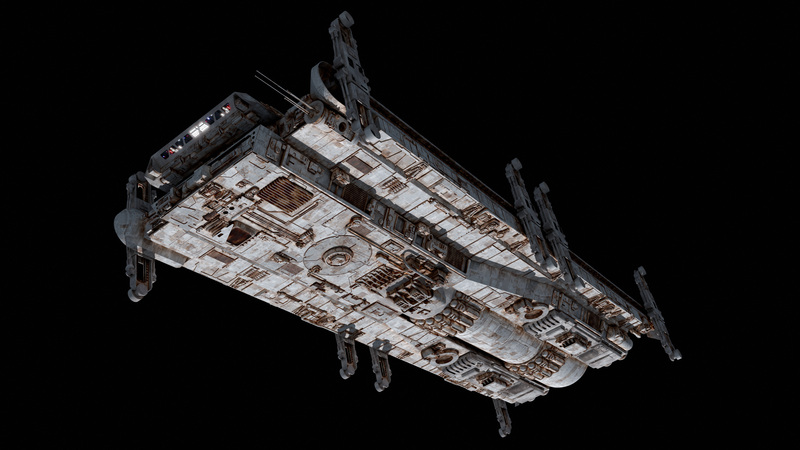 They would also need inertial compensation and stasis equipment for lightspeed+ travel and they are known to be able to mount full shielding. 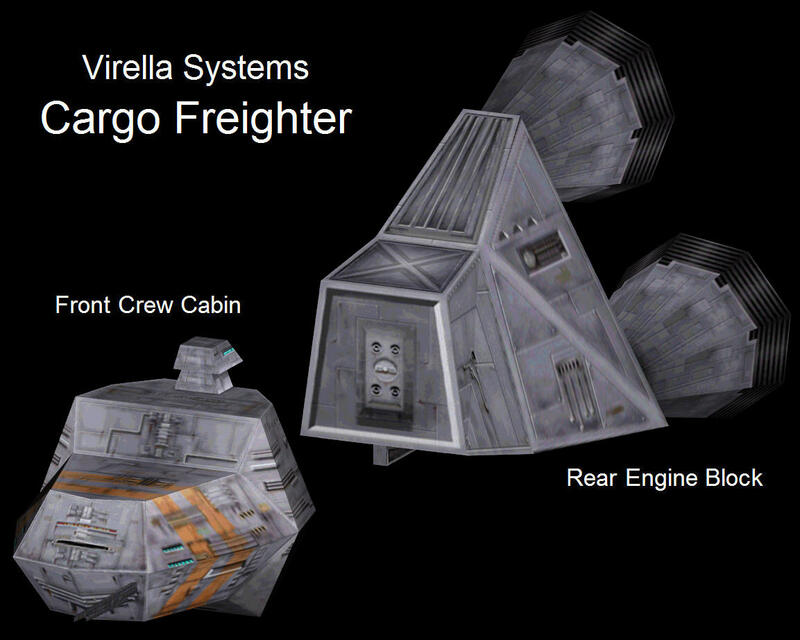 These containers are not simple boxes, and they wouldn’t likely be anyway given that they have a lot more volume than complete small starships like the Falcon. ahh i see and the containers are probably moved via tractor beams? This design was one of my favorites to destroy in the X-Wing game series, but you’ve really improved the design. It almost looks too pretty to shoot now! 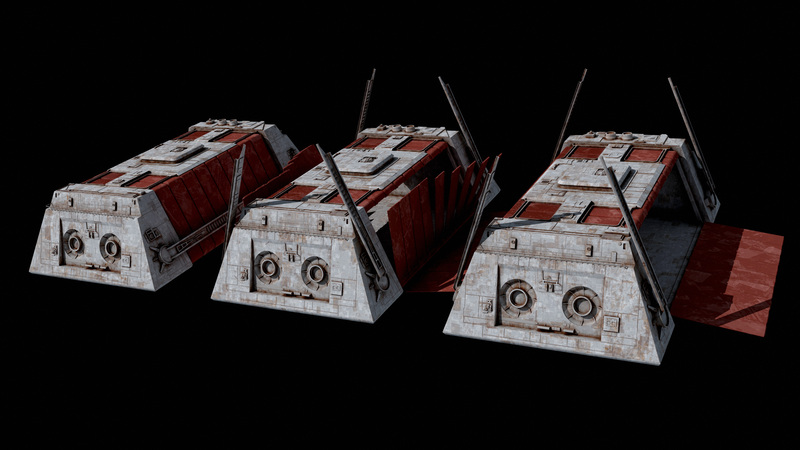 I vividly remember having to defend dozens of those in the X-Wing games, particularly in Alliance. 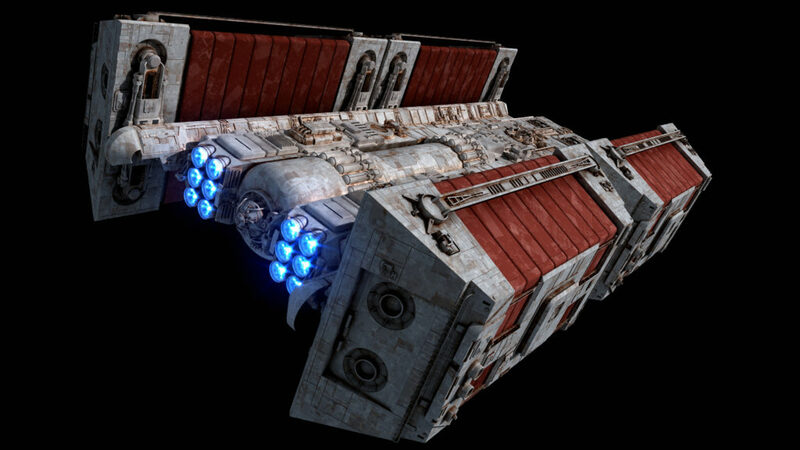 Since they’re slow as hell and have no weapons it can become a challenge when multiple bombers go at them because then you yourself have to shoot down the rain of proton torpedoes aimed at them. Wow, you’ve really done something special with a design that was originally just a bunch of lifeless, uninspired polygons slapped together. 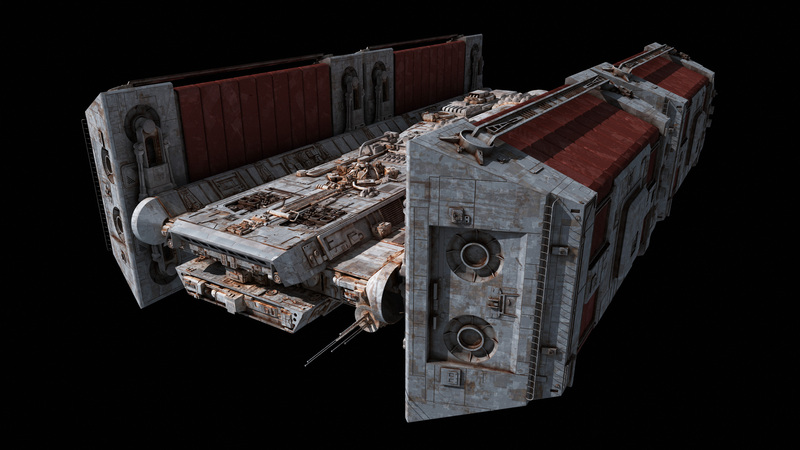 This feels like a real Star Wars ship for the first time since I played X-Wing and Tie Fighter all those years ago on the PC. Well done! This bring so much good memories from X-wing. Wonderful job mister Hsiao, just wonderful. 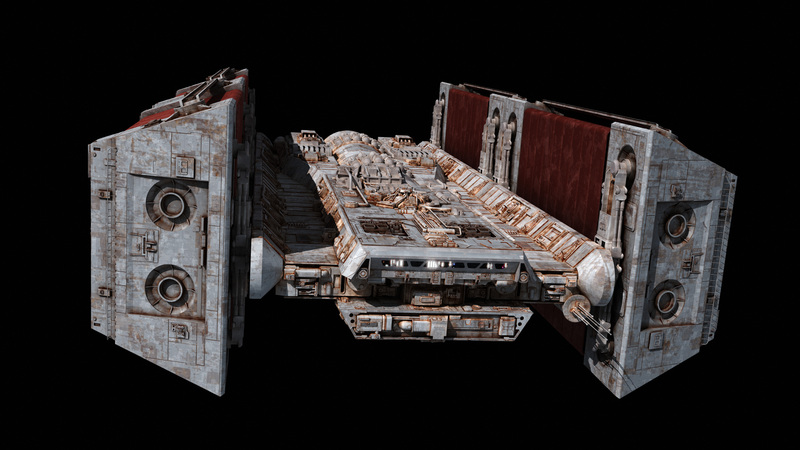 I will say that you are IMO the best SW ship creator on the world right now. I don’t see anyone other artist with such passion and skills that would be even close to your level now. An surprising project to be sure, but a welcome one! Oh lordy…SO many inspection and strike runs on these babies 😀 A true classic brought to life and looking AMAZING for it! The changes you made really do add the industrial feel to it, these are not sleek, expensive ships, these are tramp haulers, unglamourous, simple but darn effective! Neat the BBF-1 Bulk Freighter although since that freighter is 120.9 meters in length and this one you made is 163.7 meters in length I suppose it is more like a BBF-2 Bulk Freighter. 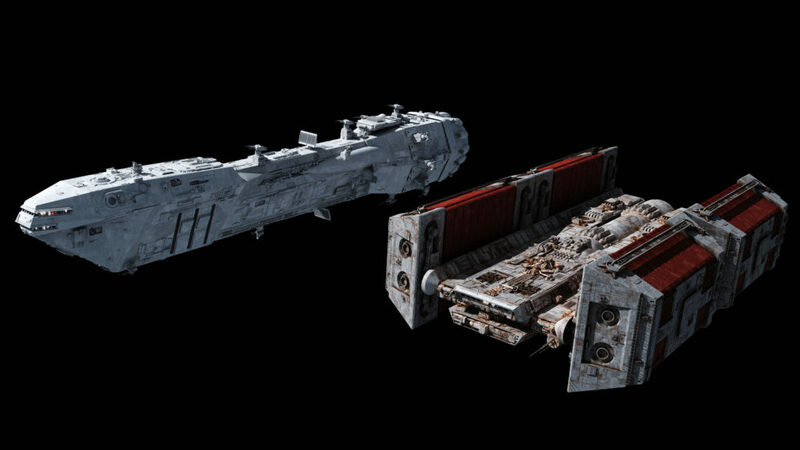 Also if you can could you do more freighters/transports renders? You can pay for that you know. If you really want to then put an order to Fractal for this job. 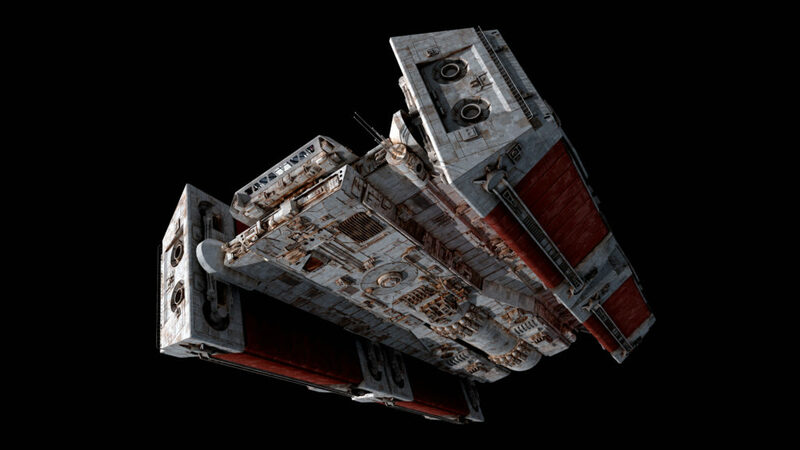 That is one ugly hunk of junk. Star Wing Assault Gunboat/10, would get ordered to inspect repeatedly. Sometimes, it feels like high quality fresh new content appears here faster than I can comment on it. This is truly the golden age of fractal art. 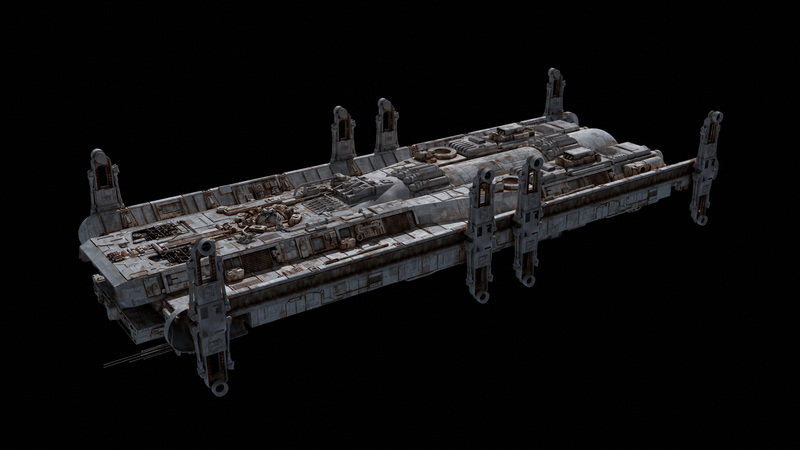 I wonder how many tons of cargo it could hold? The limit on those racks for most cargoes is probably volume, not mass, unless you’re hauling something absurdly dense like fuel reactant. 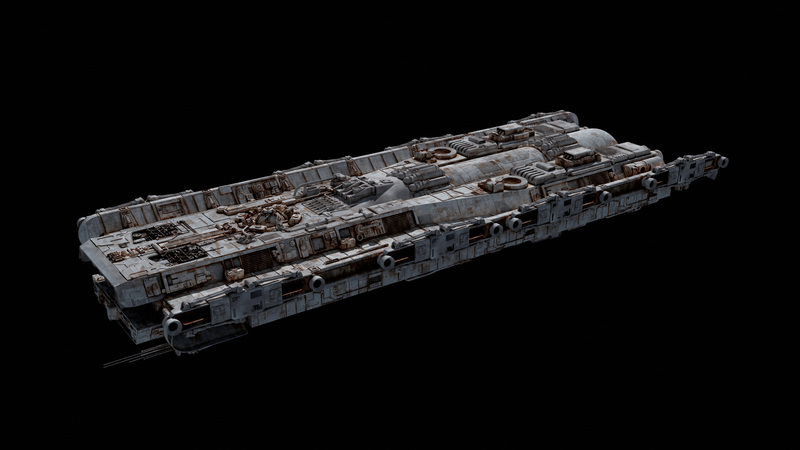 Another classic ship brought to life – I love it! It’s bigger than thought and it’s gritty! Perfect! Your tug would work perfectly in a scene with one. Sure! 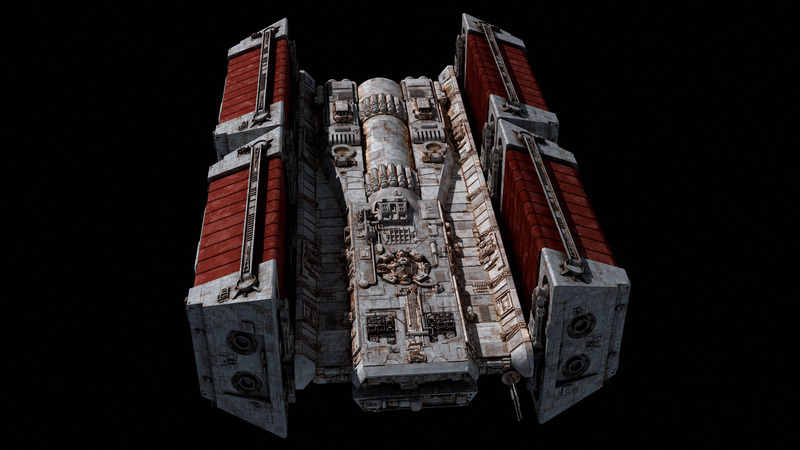 Can you use Blender files? I can send the file over. If you can do FBX, I can use it. 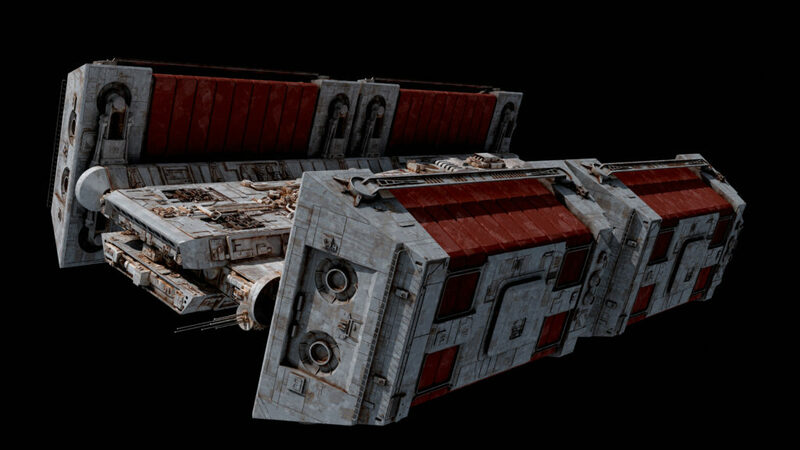 Would a tug piggyback on the freighter or just be on hand at designated loading and unloading points? ya but he said YOUR tug to countvertex so i was wondering if he had made one, countvertex that is and if so where could i find it? Very nice work. I’m not a big fan of the TIE Lander, but that is by far the best rendering I’ve seen of it, and I particularly like the tug. Single handedly saved that Lander idea imo. 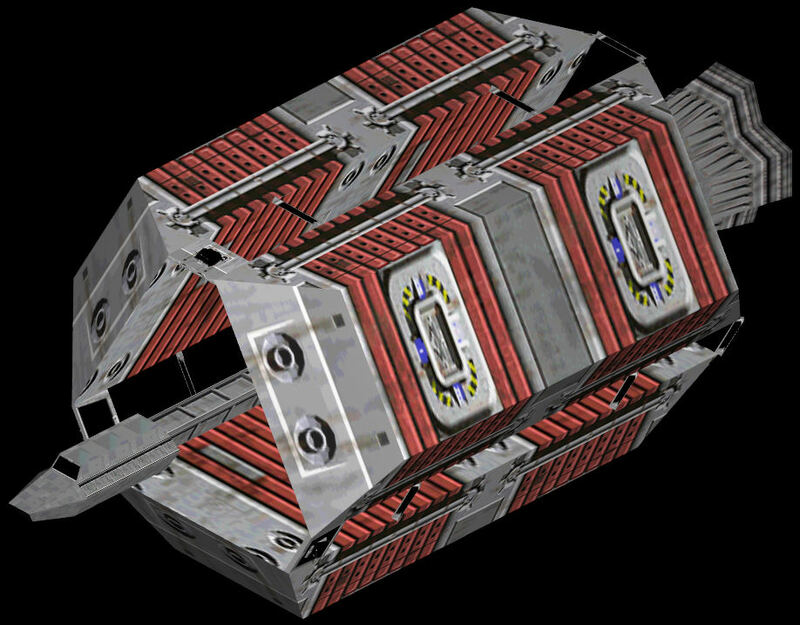 I always thought a TIE Lander would be better designed with two transport pods mounted below the center line with a single cockpit above and between; more transport capacity, and it doesn’t need a bomb pod. But if the plan is to stick to the canon, best to do a damn good job of it. If you read between the lines of the above comments, you can infer that countvertex is sending the image file to Fractalsponge to be inserted in an image that will likely be posted here in the future.